Complete Your College Degree 100% Online - ANYTIME. ANYWHERE. The following six certificate and degree options can be completed 100% online. In addition to these fully online degrees, we offer single online courses that can be taken to fulfill other degree requirements. *The Criminal Justice Degree is two CRJ courses of being fully online. Check Out Our 70+ Other NETC Online Course Offerings! Northeastern Technical College's tuition and fees are some of the most affordable in the state. So, why pay more for the same education? 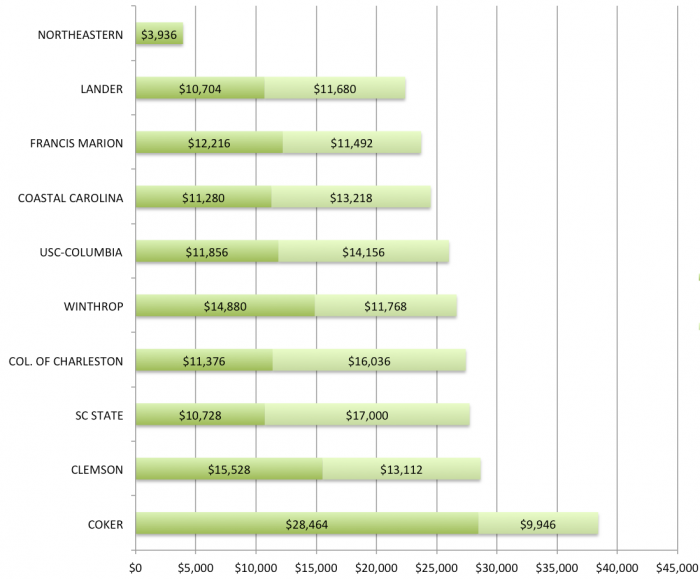 Many of our students qualify for S.C. Lottery Tuition Assistance and other Federal financial aid programs. Check out financial aid resources. *The examples above are based on 2017-18 tuition rates and on campus housing. For current tuition rates, please visit individual college websites or comparison websites like collegetuitioncompare.com. Click here and follow our simple enrollment process. 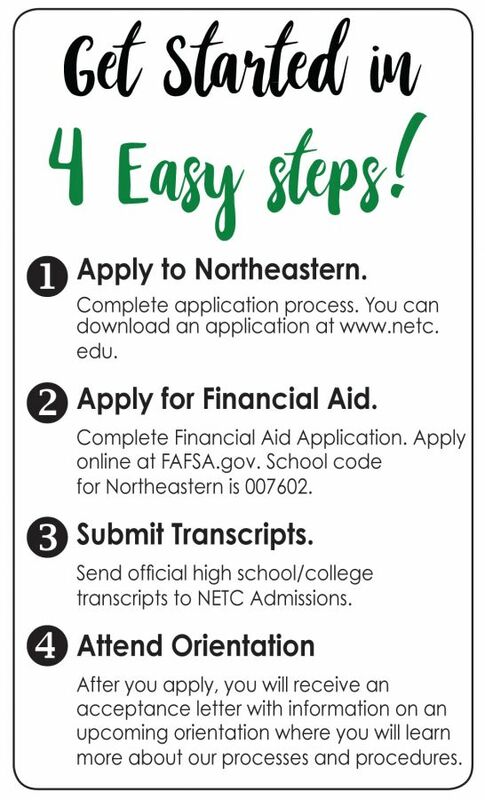 Take the first step and APPLY!